Impact Microbiology was the first company in the Maritimes to offer seminars on bacterial contamination in food processing and restaurants. Food industries, organizations, and restaurants can benefit from our microbiological workshops and presentations on bacterial contamination, which typically include the most common food hazard pathogens, Listeria, Salmonella, Yeast, and Molds, as well as others. Impact Microbiology Services Ltd in Fredericton, NB can customize an on-site presentation for your specific needs, demonstrating the necessary tools for management personnel, maintenance, and food workers on the line. These tools can have a huge impact on the quality of your product. We are committed to keeping you updated on bacterial food safety. We'll keep you up-to-date on the latest policies and procedures on Listeria and other food pathogens. Please refer to this page for future workshops and seminars. 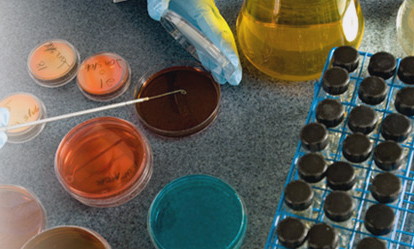 To ask about upcoming microbiological workshops, contact Impact Microbiology Services Ltd. We will equip your company with the very best safety and quality practices. We look forward to working with you. Proudly serving Atlantic Canada and the U.S. for over 14 years! Have a look at what some of our customers have to say about our services. Terri McNeill, Manager - Amalgamated Dairies Ltd.
"My company has been working with Impact Microbiology since its inception. Elena and her team are a dedicated, professional group that always ensure our testing is completed accurately and on-time. They are always willing to help with any investigations and share any technical information that may aid in a solution. I am delighted to be their customer." Copyright © Impact Microbiology Services Ltd, 2018. All rights reserved.